In July last year, a Chinese man was trucking sand on the outskirts of Beijing. 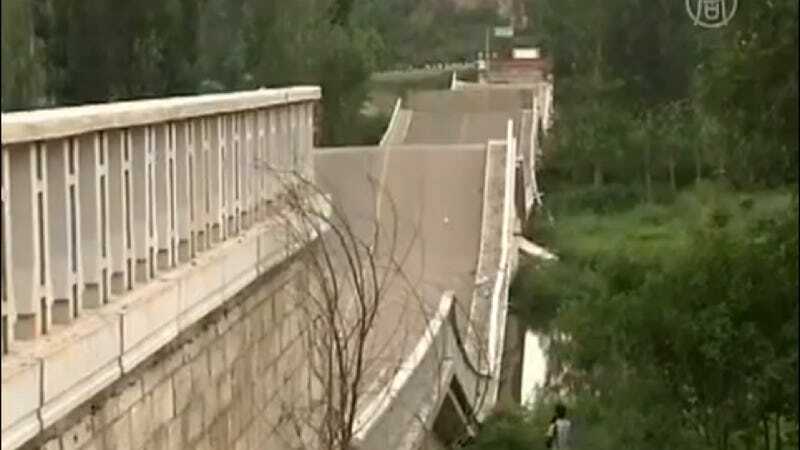 He drove his 110-ton truck over a bridge and it, unsurprisingly, collapsed. Now, after a year long investigation, the blame, and the repair bill, has been placed solely on the shoulders of the driver, a man only known as Mr. Zhang. The fine comes out to 156 million RMB, which is equal to $24.4 million. We aren't what you'd call economists, but it's safe to assume he makes far less than that in a year. Zhang is saying that he was just doing what he was told by the trucking company. Either way, he'll be paying this off for a while.